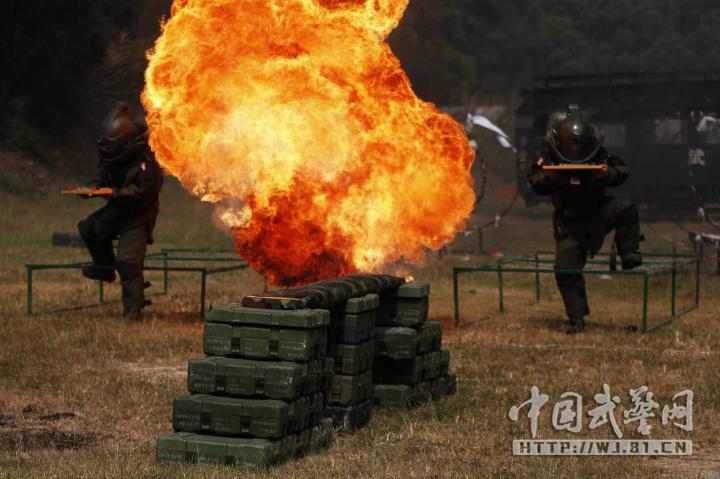 The online English language version of the China People's Daily newspaper has featured SDMS SE124 MK5 EOD Bomb Suits in a stunning series of images depicting EOD operators partaking in a number of exercises during annual refresher training. The training is designed to test their competence and the effectiveness of standard immediate action drills under simulated operational conditions. Each of the images was accompanied by the caption: EOD (Explosive Ordnance Disposal) specialist is a special and high risk profession. In the heavy bomb suit which creates a silent world for them, EOD specialists make life and death judgments by themselves. 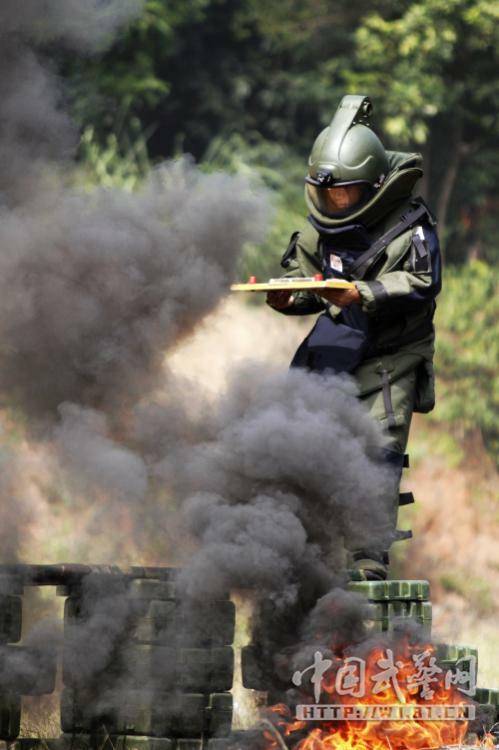 Let’s have a look at a group of training photos of the EOD specialists in Xiamen armed police force. 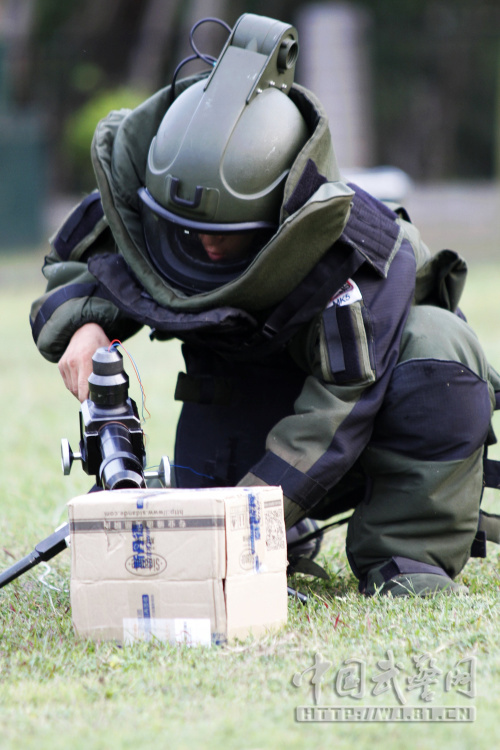 The total number of SE124 MK5 and SE126 MK5A EOD Bomb Disposal Suits supplied to the Armed Police and various other Chinese Government agencies involved in public safety and internal security by SDMS now exceeds 2000 units.